All you need is you and YOUR hair! Spring 2019 hairstyles for all hair types! Let's chat hair for a few! We all have that hair inspiration pic of the girl with Princess Jasmin hair. You either have this photo because you were born with the same hair as Jasmin and you feel like you are related (LUCKY!!) or in most circumstances, this is the hair you dream to have, especially on your wedding day. We say, let's change our attitudes and know that whatever hair we were born with is awesome and can be worn however you wish! The days of heavy extensions are taking a backseat and natural, effortless hairstyles are taking its place. You can work magic with what you have! 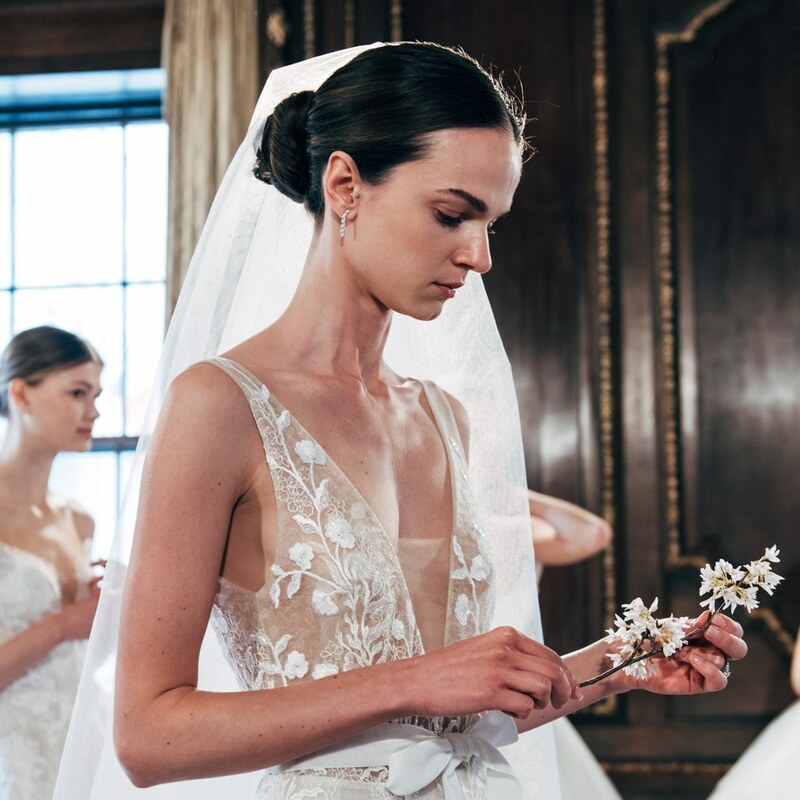 2019 New York Bridal Fashion Week beautifully demonstrated some of these new hairstyles. From the low ponytails, petite chignons, beachy waves, and modern half-up's all different types of hair were being styled. Take a look at some of the hairDO's we loved! Use those face-framing pieces to create an updated half up. Adam Zohar amplified his statement v necks and embellished bodices at Bridal Fashion Week with this natural effortless look. You get the perfect mix of the hair up hair down look! This will make all the difference as you climb the mountain for photo's and only have to hold your skirt and not constantly tuck your hair behind your ears! The petite chignon is fluent and timeless. It is a look that compliments all gown styles and accentuates the structural beauty of the face. Monique Lhuillier's 2019 show emanated regality and poise. The gowns were masterpieces that welcomed the clean, sculpted hairstyle to bring the whole look together! The looks were also accented with beautiful cathedral veils which fit perfectly the chignon. The look that makes our world go round. We can not get over the modern elegance of Lela Rose's 2019 runway looks. The BFW backstage Creative Director raved about Kerastase V.I.P. Powder in Volume and French Girl Sea Spray as the key products for this look. Just finish it off with a quick curl to create the waves, a finishing spray to keep the look lasting and a velvet ribbon (optional of course)! What are your thoughts on these 2019 looks? P.S. If you would like some ideas of what hairstyles we would recommend with your gown please reach out to us! Cover photo by Alyssa Greenberg sourced from BRIDES blog. What to Wear: The Best in Winter Wedding Shoes! See our top wedding shoe picks for the winter season! "today i have loved you for 3,390 days'' - Unknown. Tips & Tricks: The Breast Tape That We Swear By in Bridal! 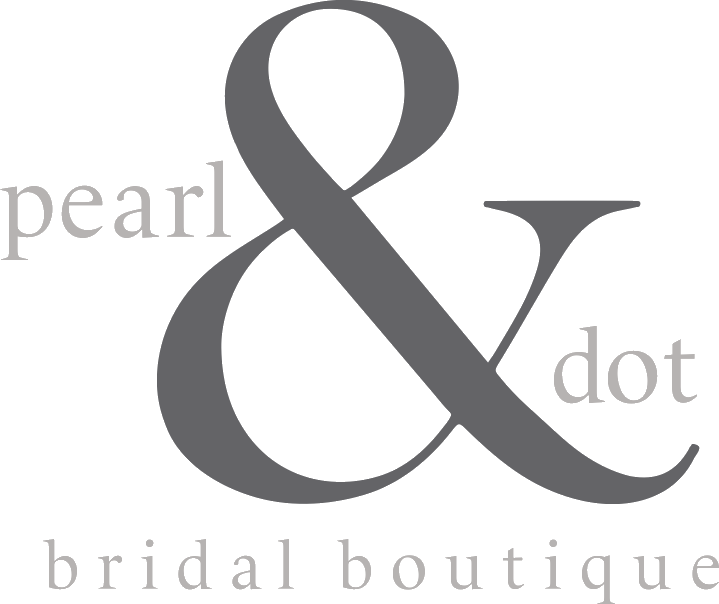 This brand is our first and only recommendation for Wedding Day "support!" "And find the place where every single thing you see tells you to stay"
P.S. We Love You, GLOSSIER! A few GLOSSIER products that WE ARE LOVING right now! Dive into your weekend with a fun cocktail recipe!